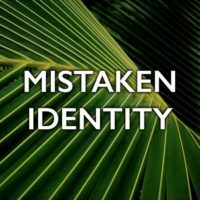 Mistaken Identity from White Pine Community Church on Vimeo. The story of Jesus entering Jerusalem on a donkey on Palm Sunday is a familiar story. This Sunday at White Pine Will Truesdell will help us take a closer look at that day, and what the people who were praising Jesus had hoped Jesus would be and would do.